School teachers, fireman, police officers and other everyday heroes’ makeup the contestants for the obstacle course competition series. 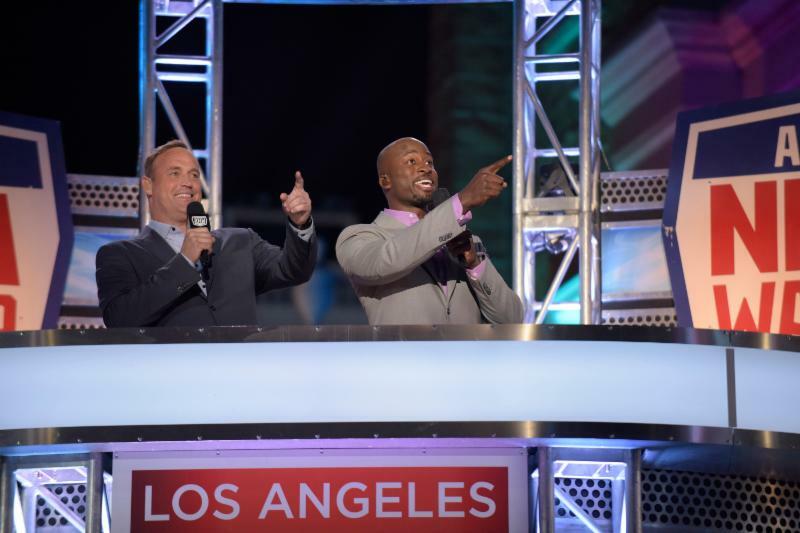 The adrenaline based competition series “American Ninja Warrior” premieres its 8th season on Wednesday, June 1 on NBC, featuring the qualifying round from Los Angeles, California. Based on a series from the Tokyo Broadcast System titled ‘Sasuke,’ the original series had 2700 competitors attempt to complete the challenge, with only three successfully completing the course. An adrenaline fueled reality series, the contestants have a shot at a large cash prize and the chance to win the coveted ‘American Ninja Warrior’ title by trying their hand at a four-stage obstacle course fashioned after the original Mount Midoriyama in Japan. School teachers, fireman, police officers and other everyday heroes’ makeup the contestants for the obstacle course competition series. Now back for its 8th season, four of the six obstacles on the Los Angeles course will be new to “American Ninja Warrior” – Floating Steps, Tic Toc, Escalator and Ring Jump. Veteran Ninjas Kevin Bull, Jessie Graff and Grant McCartney return for another shot at completing the course. Successful candidates in each city will move onto the national finals round in Las Vegas and compete for a $1,000,000 prize. Matt Iseman and Akbar Gbajabiamila return as hosts and Kristine Leahy co-hosts.